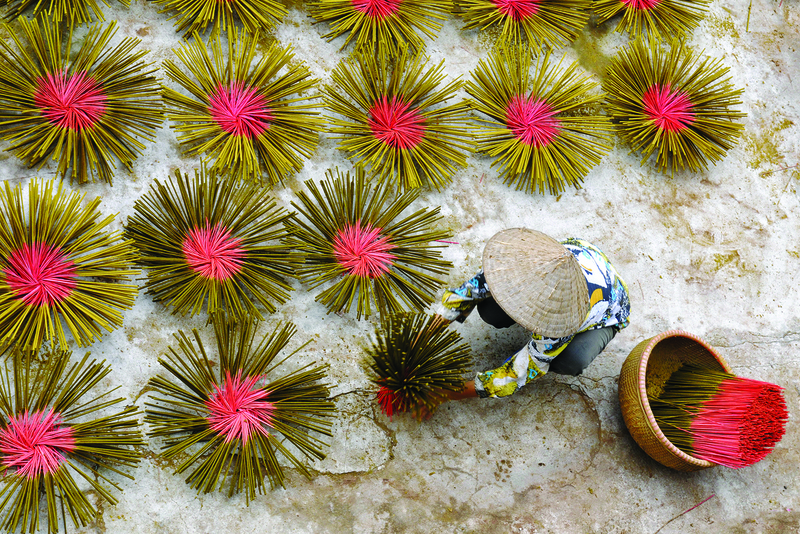 Experience Vietnam and Cambodia’s historic landmarks and world-renowned travel experiences with Cruiseco this Spring. 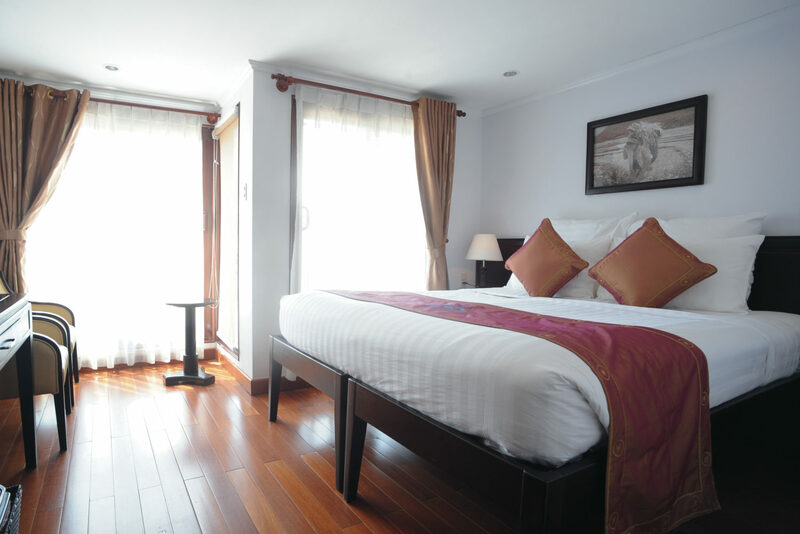 With 7 nights cruise with all meals and drinks in hotel luxury for $1,999, or all inclusive 11 night package 5 star hotel stays in Saigon and Siem Reap it is perfect for those who desire orchestrated luxury, or flexibility in their journey. With no single supplement then couples and solo travellers should be equally attracted to this laid back journey onboard Cruiseco Adventurer this Spring and Summer. Few travel experiences can provide us with such a sense of accomplishment, of independence, and of boosting confidence than that of going it alone. But for all the benefits of solo travel, and the potential to create new friendships while discovering new places, there appears to be one recurring dilemma for the solo experience — the single supplement. In short, the extra cost that solo travellers routinely get charged by tour operators because only one person is using a hotel room or cruise cabin, which was built (and priced) with the assumption that two people would be occupying it. However frustrating this industry standard can be for those booking for one, it’s not all bad news. The good folk at Cruiseco, Australia’s cruising specialists, understand that such an extra charge can deter some single travellers from embarking on the trip of their dreams. 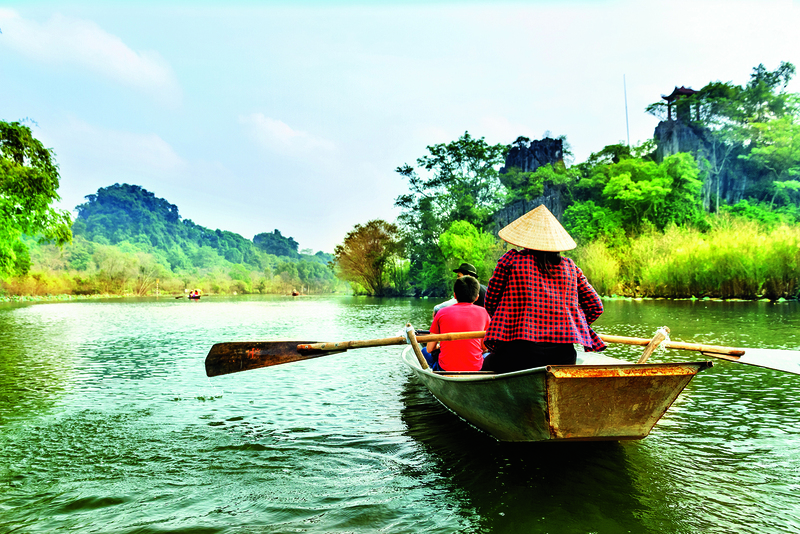 So, to encourage those who have always fantasised about exploring South East Asia solo, Cruiseco is removing the single supplement on their prized Mekong River cruises, departing this September and October. This 11-night adventure with Cruiseco takes guests on a memorable journey along the Mekong River, with immersive visits to bucket-list landmarks, iconic temples, and lively cities along the way. Guests also have the benefit of expert local guides to highlight the historical significance of each site. The tour begins (or ends, depending on your route of route) in Vietnam’s vibrant city of Saigon (aka Ho Chi Minh City), best known for its stunning French Colonial architecture and world-renowned Vietnam War history. From there guests spend seven nights aboard the luxurious Cruiseco Adventurer, journeying down wondrous waterways to picturesque towns such as My Tho, Sadec, and Tan Chau, before crossing the border into Cambodia. From here guests have the opportunity to explore Cambodia’s dynamic capital city Phnom Penh, followed by Kampong Tralach and Kampong Chhnang. The tour then culminates in Siem Reap, home of the magnificent stone ruins of Angkor Wat, the largest religious monument in the world and a sight so mesmerizing it’s featured on Cambodia’s national flag. Airfares included? Sure, why not? In addition to Cruiseco’s luxury river cruise and extensive sightseeing lead by expert local guides, this all-inclusive package features return Economy Class airfares from Australia, all meals and drinks on board the Cruiseco Adventurer (including local beers, soft drinks and wine served with lunch and dinner), all transfers, taxes, and gratuities, plus two nights’ accommodation at the five-star Caravelle Hotel in Saigon and luxurious Raffles Hotel D’Angkor in Siem Reap. With Cruiseco’s Saigon to Siem Reap tour featuring seven nights aboard the Cruiseco Adventurer, guests can expect skilful local crew on this hotel-style passenger ship. In fact, Cruiseco promise exceptional service with almost 1:1 guest-to-staff ratio. The purpose-built vessel itself spans 68 metres in length, complete with three decks, an excellent restaurant, lounge, library, bar, health club, gym, spa and whirl pool, not to mention stunning 360-degree views of the surrounds. The Cruiseco Adventurer also comes with full air conditioning throughout the entire vessel, so you can enjoy the best sightseeing in comfort. Why Cruiseco Adventurer stands out amongst its Mekong contemporaries is that guests do not need to be outside in the heat/rain/evening insects unless they want to be! Cabins to restaurant journeys are all taken leisurely within the air conditioned ship, unlike other Mekong vessels. 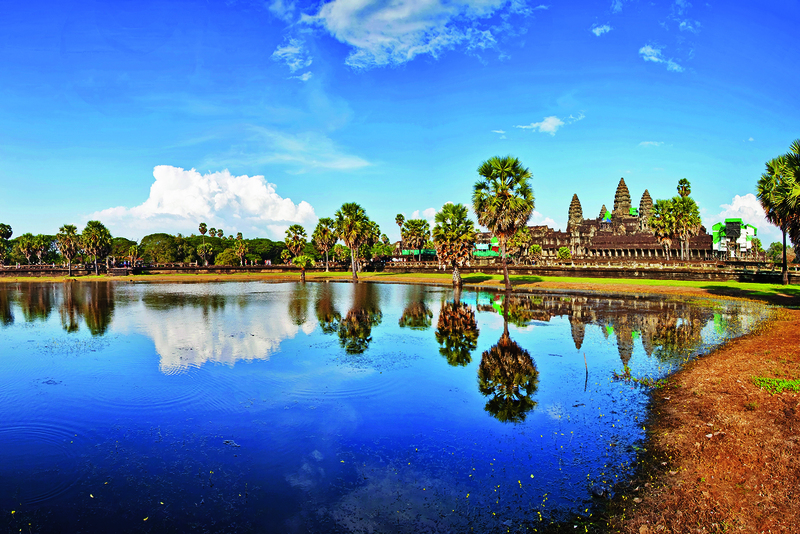 Better still, the cruise portion of Cruiseco’s itineraries are bookended by popular travel destinations, Saigon and Angkor Wat, so guests have the option to plan a longer stay in the region. 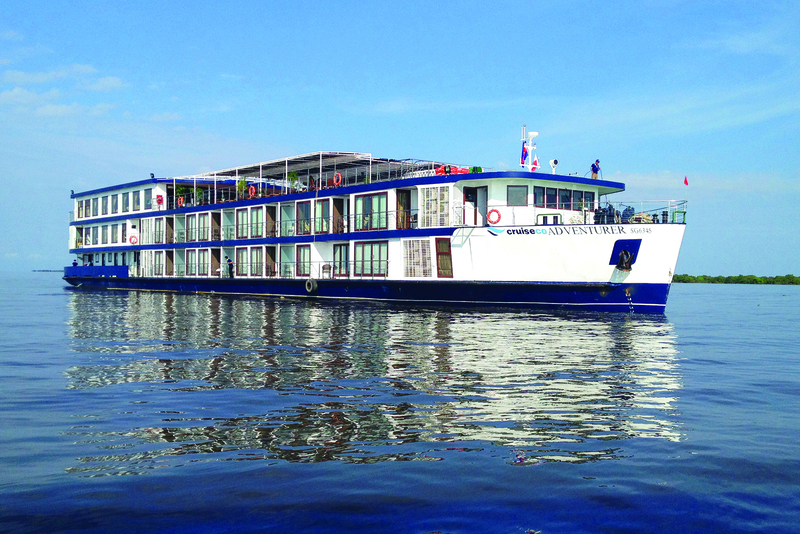 There’s more than waiving the single supplement that sets this tour apart from other Mekong cruises on the market. Perhaps the most significant difference is that Cruiseco is allowing a maximum of 60 guests on each tour, compared to larger vessels with up to 300 passengers at a time, ensuring a more intimate and personalized experience. This special Mekong tour is also being offered exclusively to Australian and New Zealand travellers, so you can expect to be surrounded by like-minded people. Whether you’re travelling solo or otherwise, Cruiseco’s tour of Vietnam and Cambodia promises a truly unique experience of the Mekong and its history.